We are dedicated to providing the highest standards of care for your pet. feline only clinic for all your Kitty needs! Pet Emergency? Call us right away at 609-520-2000! If you live in Princeton or the surrounding area and need a trusted veterinarian to care for your pets – look no further. Doctors James and Terry Miele are licensed NJ veterinarians treating companion animals. Dr. Terry specializes in feline medicine and Dr. Miele is certified in canine rehabilitation, including acupuncture and Traditional Chinese Medicine. Your pets’ health and wellbeing are very important to us, and we take every possible measure to give your animals the care they deserve. Dr. Miele's areas of professional interests are in surgery, pain management, and TCVM (Traditional Chinese Veterinary Medicine). Dr. Miele is certified in Canine Rehabilitation and Acupuncture. He and his wife, Dr. Terry Miele, co-own the hospital, which they purchased in 1988. Co-owner of Princeton Animal Hospital (PAH) and Director of the Carnegie Cat Clinic (CCC), Dr. Terry Miele attended Rutgers University and graduated in 1980 with a Bachelor of Science in Animal Science. In 1982, after earning a Master's in Entomology, Dr. Miele was accepted to veterinary school and graduated in 1987 from Ohio State University's School of Veterinary Medicine with a Doctorate of Veterinary Medicine. Dr. Jones is a member of the American Veterinary Medical Association and the NJ Veterinary Medical Association. Her primary veterinary interests lie in animal behavior, internal medicine, and geriatric/senior pets. Dr. Megan Odgers joined Princeton Animal Hospital family in December 2015 as a general practitioner (GP). Dr. Odgers grew up in Pennsylvania and studied as an undergraduate at Ursinus College where she majored in biology. During college her first job was with a veterinary hospital where she worked her way up the ladder from kennel technician to veterinary technician. Dr. Wolff grew up in Illinois and graduated from The University of Illinois at Urbana-Champaign where she received her Doctorate of Veterinary Medicine in 2014. She earned her bachelor’s degree in 2010. Allie joined the Princeton Animal Hospital staff in 2007 after graduating from Centenary College with a Bachelor's degree in Animal Science. In 2009, Allie passed the Veterinary Technician National Exam and became a Certified Veterinary Technician, (CVT). Sandy joined Princeton Animal Hospital in 2014. She is a graduate of Bel-Rea Institute of Animal Technology. Sandy is an integral part the overnight staff tending to our patients to monitor them, administer medication, and provides food, water and tender loving care. Melissa's specialty lies in surgery where her role as Surgery Team Lead ensures that: our surgical equipment is maintained and serviced; that we are practicing the absolute highest standards of surgical care with dedicated monitoring of our patient’s vitals as well as monitoring for pain management. While this multitasking talent is no easy task, Melissa's poise in surgery and her fierce attention to detail is why she is our Lead Surgical Tech. She is often found smiling and a pure joy to be around! Veterinary Technician Jessica, known as Jess around the hospital, joined the staff of Princeton Animal Hospital in February 2012 and has been working professionally with animals for the past thirteen years. In the hospital, Jess can be found in the operating room as a surgical technician, monitoring/treating hospital patients, seeing appointments, filling prescriptions, and assisting the doctors. A veterinary technician at Princeton Animal Hospital since 1988, Barbara attended Mercer County Community College where she studied biology. Known as Barb among the staff, she is the lead veterinary technician in the Carnegie Cat Clinic as well as the inventory manager. Barb is highly noted for her outstanding feline handling skills, precise attention to detail, and excellent time management. James joined Princeton Animal Hospital as a veterinary assistant in November 2013. His responsibilities include assisting our technicians, walking dogs, taking care of boarders and helping to keep the hospital clean. He studied animal science at Rutgers University School of Environmental and Biological Sciences and is currently studying to be a veterinarian in Scotland at the University of Glasgow, School of Veterinary Medicine. Emily grew up in Allentown, New Jersey. She joined Princeton Animal Hospital in 2014 as a technician assistant. Emily has worked with animals for the past five years and came to Princeton Animal Hospital hoping to learn more about how to help animals and make a difference in patients' lives as well as their owners. Lynsay joined the Princeton Animal Hospital team in July 2014, bringing with her a great love of animals and a deep respect for the human-animal bond. Her responsibilities include taking patient histories, assisting during exams, general patient care, taking radiographs, drawing blood, scheduling appointments, filling prescriptions, discussing pet care with our clients and helping keep the hospital clean. Kelly is one of our veterinary technicians here at Princeton Animal Hospital and has been with us since 2005. She started working here as an overnight technician monitoring hospitalized patients. Most recently she decided to decrease her hours to be able to spend more time with her son. Lisa started working at Princeton Animal Hospital in late April 2015 as a veterinary assistant. 'It's a great feeling working with a wonderful and compassionate staff,' Lisa says. In 2013, she enrolled with Mercer Country Community College for the Veterinarian Assistant Program and completed her externship here at Princeton Animal Hospital and Carnegie Cat Clinic. Rui joined our team in April 2015. He says, 'It warms my heart to work with great and talented coworkers who truly care about their patients. We all make one amazing team!' During his time here, Rui has learned a great deal and works closely with Dr. Miele on canine rehabilitation. 'One of my favorite things to do at the hospital is assist Dr. Miele with his acupuncture, cold laser therapy and canine rehabilitation services. Mary Beth Cullen joined Princeton Animal Hospital in August 2015. She graduated in 2010 from Northeastern University in Boston where she completed a Bachelor of Science degree in Environmental Geology. Mary Beth loves working at Princeton Animal Hospital because of the high standards of patient care and the deep regard that everyone who works there has for the family-pet bond. Native to Queens, New York, Effie has worked at Princeton Animal Hospital since 2002. Effie is our most senior Client Services Representative. She has a reputation for her ability to secure services for owners that require immediate medical care for their pets. Sarah joined Princeton Animal Hospital in 2012 as a receptionist and in 2015 earned the position as Client Liaison where she works closely with the staff to ensure an outstanding veterinary experience for all of our clients and patients. Jennifer, known as Jen around the hospital, joined the Princeton Animal Hospital team in March 2014. Jen answers the phone with her sunny disposition and great smile. She assists our clients and patients during the check in process, pulls food orders and helps to uphold our standard of excellent service for our clients and their furry family members. Isabel joined Princeton Animal Hospital in December 2013 as a veterinary assistant, quickly transitioned to veterinary technician and has found her calling with client services. Isabel loves exceeding client expectations, greeting clients and their pets, and enjoys being a part of a great team, dedicated to making clients' pets a top priority. Colleen joined the staff at Princeton Animal Hospital in March 2015 as a client service representative. Justine joined Princeton Animal Hospital in October 2014. She decided to become a member of our team because she enjoys working in a fast paced environment with hard working, dedicated people who have a fond appreciation for animals. Sarah joined our team in July 2016. “I was in the Vet Assistant program at Mercer County Community College and did my externship at PAH, and was lucky enough to be offered a job. I was excited to be able to start working with this amazing team and to be able to learn and grow at our outstanding practice.” As one of our Tech Assistants, Sarah can be found taking care of hospitalized patients, filling medications, running lab work, and more recently facilitating appointments. Amanda joined Princeton Animal Hospital & Carnegie Cat Clinic in April of 2016. Amanda had 4 years of experience before joining our team and said that she wanted to work in a larger more challenging practice where she could continue to grow. “I have five pets. I have two Pit bulls, Jade and Roman. Jade is 9 years old and Roman is 5 years old. They absolutely love each other. "Excellent facilities and staff. They take great care of my Daisy! She is beautiful, healthy and happy thanks to them!!" "These guys are the best ! They are always available - 24/7 and they have the friendliest staff and doctors. Five Stars!" "I like their accessibility and the kindness of the staff- I've never had a delay." "Very nice staff, good hours, very clean, very competent." "I like the service, the concerned staff, the proximity, and the cleanliness." ""My Yorkie, Zoe, and I visited Princeton Animal Hospital last night (7/19/17) because she had several things wrong. We met Dr. Wolff for the first time and she was fantastic. Dr. Wolff put both of us at ease immediately and with her warm and friendly professionalism, she pinpointed the problems in no time and sent us home with the solutions. I have been going to Princeton Animal Hospital for years and have always had a very positive experience."" ""Thank you for a wonderful 1st visit at Princeton Animal Hospital. We truly appreciate the guidance and care that we received from the front desk staff, James the tech, and Dr. Nick Pope. We look forward to seeing all of you again at Tango's next visit."" ""About one year ago (11 months or so as of Feb 2017), I was walking with Freja and our friends' dog, Hazel, in the Institute for Advanced Study Woods. Freja was attacked by another dog. I rushed her to the Princeton Animal Hospital and Dr. Odgers took her right away, performed surgery, and probably saved her leg and physical abilities. Today, Freja is continuing her training in competitive obedience (AKC) and about a month ago she started training to compete in AKC agility. Her very first agility class was the day before this attack happened, and she had been out of training since. Freja is back to totally normal functioning, just as springy and energetic as ever, and we have Dr. Odgers to thank for that. We are so, so grateful for her careful and expert work. We would like to make a donation in her name. Thank you to Dr. Odgers - our lives and Freja's life would not be the same without her." ""I have been a client of Princeton Animal Hospital for over 15 years. I have taken many pets there over the years as well as my son's dog and my daughter's dog. I find the staff and doctors to be very friendly, courteous, kind and knowledgeable. The staff are always smiling and are all very comforting. I do appreciate that because I care about my pets very much and take their health and well-being seriously. I feel very confident when I bring my pets to this animal hospital because I know they are in good hands. I have recommended Princeton Animal Hospital to my neighbors and friends who now come here and are very happy as well. Dr. James Miele and Dr. Terry Miele are wonderful, caring doctors. I am happy to call Princeton Animal Hospital my vet."" ""Excellent facilities and staff. They take great care of my Daisy! She is beautiful, healthy and happy thanks to them!!"" ""These guys are the best ! They are always available - 24/7 and they have the friendliest staff and doctors. Five Stars!"" ""Today the staff at Princeton Animal Hospital helped a friends pet in need. There was a minor accident today at work (we have a pet friendly work office) and my friend needed to take her pet dog, Rogen, in for an emergency. Without hesitation Jen at the front desk was able to provide my friend Lauren an appointment. The great staff helped Rogen and put Lauren at ease. It's always comforting to know that without hesitation I can recommend the staff at PAH. Thank you all for all that you do!"" ""We would like to express our sincere gratitude to the entire staff at the Carnegie Cat Clinic. From the minute we arrived, we were greeted by a friendly, helpful, and geniunely caring staff. We would especially like to thank Dr. McCann for her patience and kindness while treating our cat, Marvin. She took the time to explain everything clearly throughout the process and helped us to understand Marvin's health issues as well as our options. The generosity displayed by Dr. Miele is something that we will be forever grateful for. Thanks to Dr. Miele and the entire staff, Marvin is comfortably recovering at home and is improving each day."" ""Initially it was convenient to my home but now I know I made the right choice- quality of care is more than excellent and the care and affection you show to my dog makes me feel she's in good, loving hands. Whenever I need you, you are there. Your aftercare calls are much appreciated."" ""Very nice staff, good hours, very clean, very competent."" "I choose Princeton Animal Hospital because of the accessibility on the weekends to telephone, get advice and make appointments. Your team helped us when we could not reach the previously hired practice. Also, the love extended to the pets and the discipline was always evident. Keep your high standards- you are a cut above the rest! Especially the follow-up was impressive." ""High quality care, I trust that my pet is under good care with a complete staff that loves them, and great service! Service is top-notch. We know we pay more for that service, but willing to do so knowing our pet is in good care."" "I love the 24-hour service, great staff at desk, and competent doctors. Amazing vet care- I have rescued animals for 35 years and find this service the best." ""I like Princeton Animal Hospital because of the quality and care that Lola has had on the other appointments before the surgery. I haven't even considered other providers. The service was perfect. She was well treated and I really think I can trust the staff of the hospital that they will do their best in providing the best health care to my puppy."" "Thank you so much for the care of my pet cat Merlin! It was very generous of you to help us in an emergency. Thank you from the bottom of our hearts for saving his life and helping us with the cost!" ""Jerry and I want to thank you and your entire staff for not only your professionalism, but also for your sincere caring, gentleness, and kindness in taking care of our beloved Maxi. Our loss is still tearing at our hearts but the fact that she received the kind of care she did at Princeton Animal Hospital makes us feel better. We also appreciate your taking care of us by explaining everything that was going on, keeping in touch, and making yourself available to us. We were greatly touched with the hand written and personalized note we received. We have had other pets and have used vets in Manhattan, Great Neck, East Hampton and Monroe Twp. None of these compared to you. We cannot thank you enough- from us and our precious little girl."" ""Your caring staff plus extended hours are a great help!"" ""You came highly recommended by friends, your hours are great, and I love the care Izzy receives."" ""I have used Princeton Animal Hospital for years. I trust the doctors and staff to care for Henry and answer all my questions."" ""You are good. Doctors and assistants are committed and sincere. Very good work on all Maddie's issues. Thank you."" "I've been using Princeton Animal Hospital for 10 years and I'm satisfied with the services." ""We have been coming here for over three years. You provide excellent care for both dogs. You take the time with us on all questions and give us options. You have great staff, from the assistants to the vet techs to the Dr's... You all take the time to know us and our dogs. You do a great job!"" ""Your extended hours and personal service! We had a small problem with our old dog Cleo when we moved here and you helped us ASAP. Also, you stayed with my husband late one Friday night as Cleo died. Why would we take Daisy anywhere else? I love that it is easy to get a convenient appointment. Things run on time, short wait in office for appointment. I also love that the waiting room is not crowded. The staff is so personable, I feel really important and so does my dog."" ""The staff is very professional and responsive to any questions or problems."" "I like the location and 24-hour availability." "I like the location, excellent care, and knowledgable staff." "I choose Princeton Animal Hospital because of my confidence in Dr. Miele's surgical expertise and the convenience (hours of operation & proximity.)" ""You diagnosed Isabel's choking as a collapsing trachea, and told me not to put a collar on her. She has been better ever since. Other vets made light of her choking even though it was getting worse."" "I like Princeton Animal Hospital's reputation, and I already come with my older pet. The service is great." "I go to Princeton Animal Hospital because of their professional staff, my confidence in the doctors, and is close to home." ""Dr. Nieh treated a pet I owned and she was awesome, so I tracked her down and drove an hour to see her. Your office is great- attentive, caring, and always welcoming."" ""My parents come to you. Unfortunately, I've heard negative comments about Princeton, but I've experienced EXCELLENT care here and will continue to say only good things to others! Everything seemed excellent. Our puppy has always been very happy (vigorous tail-wagging) to enter your office. Much thanks for the superb care!"" ""Pawfect! Initially I chose Princeton because of the extended hours of operation and range of doctors available, but I have always received excellent care and advice. It gives me peace of mind to know that I can call or come in at any time, nights & weekends. Sadly I have had to do this three times with pets who were dead or dying. I was always treated with compassion and respect. You are doing a great job already- keep it up! I appreciate being seen quickly, having everything explained to me, being presented with estimates for costs, and efforts to contain costs as necessary. Thank you Dr. Miele and Deena for everything with King's surgery, and also Dr. Jones and Dr. Ross for helping King through this difficult time."" ""I have been bringing Maddie here since she was a puppy and have every confidence in your care. You do everything I can possibly think of."" ""We have a long-term relationship with your animal hospital. You have an excellent, friendly staff. The hospital is very clean & that is important to us. (We love Dr. Jones!)"" ""I was impressed by the facility. The staff is friendly and professional."" ""We and Josh were treated exceptionally well. Thank you!"" ""I have been bringing my pets to Dr. Miele for over 20 years. From his Route 1 office to Princeton-Hightstown Rd. & now Alexander Rd. I will not consider another vet, there are none that are comparable. Everything is great!"" 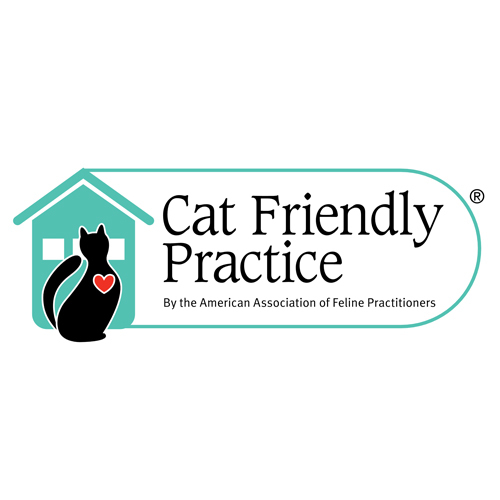 ""I like that a portion of your practice is devoted specifically to cat healthcare."" ""Since our first visit 8 years ago, this practice has always been professional, courteous, and accessible. I really don't think our experience needs any improvement!"" "We chose Princeton Animal Hospital for the emergency services they offer- they provide the best care ever!" ""We've been coming here with our cats for years. You've been great!"" "I like Princeton Animal Hospital because of their experience, facilities, staff, manner, and hours. Everyone is sincere, you really get the feeling that everyone cares about you and your pets. They also follow up." ""Eddie loves the attention he gets and I like that so many people genuinely love animals there."" "We were referred when we moved here, we bring all our pets." ""She has always been treated here and I am very satisfied with this hospital. Follow up phone calls to see how she is doing are always appreciated."" "We like the friendly, courteous, and respectful staff. They are good with Arlen and are patient with her puppy needs. They gave me a clear explanation of things, and I am very confident she is in good hands." "We choose Princeton Animal Hospital as our vet because of their proximity and their professionalism." ""Thanks for seeing our dog Sammy for his leg. We appreciate it. You did a great job explaining everything to us and taking care of him. He is finally on the mend!"" ""Thank you for your thoughtfulness and tender care for Pumpkin in his last hours. Although Pumpkin was not in your care very long, I recognize the quality of care you and your staff provide not only to our "family members" but also to their caregivers."" ""We started using you years ago for an emergency. We were very satisfied with the service so we decided to make you our full time vet!"" "I've had a long history with the practice, and they're always there when I need help or advice." "We like Princeton Animal Hospital because of the location, the ease and availability of appointments, and the great staff! Your follow-up phone calls were very helpful. Thank you!" ""We used another hospital previously, and when we moved, yours was closer. Since the change, we couldn't be happier! It was a blessing. The staff at Princeton Animal Hospital and Carnegie Cat Clinic are wonderful and we have been very happy with all the services performed thus far. We have never had any complaints, the staff is wonderful, and everyone is always willing to help us at all times. We enjoy taking our pets there and would not change unless we had to due to location. Thanks to everyone for making sometimes difficult situations pleasant. We appreciate all that you do."" ""Thanks to the vet tech who sent me the text photo of Sammi after her surgery. It really made me feel better! I even posted it on Facebook!"" "We come to Princeton Animal Hospital because we feel Dr. Kelly Ross is STUPENDOUS. The technicians have all been very professional and helpful." ""I find your hospital superior as far as talent, compassion, and customer relations. You are doing a great job. Keep doing what you're doing. Thank you for taking such good care of Maxi!"" ""We express our deepest thanks to you and your staff for the courtesy and kindness shown us and for the highly skilled, professional care you provided for our beloved pet, Oreo, during his recent illnesses. He lived a full life due to the excellent medical treatment he received at your hands. We especially want to thank Dr. Jones, who kept us informed every step of the way. As we give thanks for the joy Oreo brought to our lives, we remember the care, professionalism and kindness that were so evidently afforded by your staff."" ""We just wanted to thank you for your incredible grace and sensitivity in guiding Andrea and I through the final hours of our beloved Wookie's life. Your thoroughness, thoughtfulness, and willingness to give us time and space with Wookie as we made a difficult decision was enormously comforting to us, and validated our decision to make the trip to Princeton Animal Hospital that Sunday morning. Thank you for everything."" ""Thank you so much for the excellent care you provided to Honey. She came in not feeling well and your prompt, caring attention got her ready for the ER animal hospital. Thanks again for your warmth and kindness."" ""You have a very strong reputation out and about. I have never had any reason not to find you very knowledgeable, informative, professional, and kind with whatever question or problem I have presented."" ""We like the convenient location, the friendly staff and the excellent care!"" ""The staff is informative and friendly and the facility is very nice."" ""We have been bringing our pets to Princeton Animal Hospital for 30 years. We have always found the care to be exceptional and we are confident that they are getting the very best of care."" "I like the hours and the quality of the doctors, and the hospital is efficient and well-run. I am at the office frequently buying medications or food for my dog, and I am always treated well." ""You took the time to explain the condition, the options, possible complications, etc. I really appreciated the frequent phone calls the day of the procedure updating me on Pallie's condition- they were very re-assuring! You're doing a great job! By the way, Pallie looks younger, without that mole you took off and with his beautiful clean teeth!"" ""My sister has been raving about your animal hospital. However it wasn't until we had to take our male dog "Nickles" in on an emergency evening visit that I realized how great a hospital and staff you have. I was so impressed with the care and understanding that Nickles received. I was also impressed that when I went to administer 1/4 of a pill, they had already been cut. Wow! We then took Holly, our female dog, to have a dental cleaning and again I was impressed with the care, the updates I received and all-around good service. Your staff is very pleasant and efficient. I especially liked the instructions sent home and also the explanation of the procedure done on Holly. So many times you leave a vet's office and you can't remember what was said or how many pills to give and when. Please keep up the good work. Thank you."" "We are extremely comfortable with Dr. Miele and his staff and their knowledge of bulldogs." ""We chose Princeton Animal Hospital because of their location and they were referred to us by my sister. Honestly, we were so pleased!"" ""We have been coming here for over 15 years! I love that you have someone there 24/7. I am blown away by the care, attention, and continued follow-up we received following complications experienced after Lily's dental surgery. This was my first and only veterinary emergency (non-routine, non-scheduled care) and I can't thank all of you enough for taking such good care of her, as well as keeping me informed of her progress. I couldn't imagine better service."" 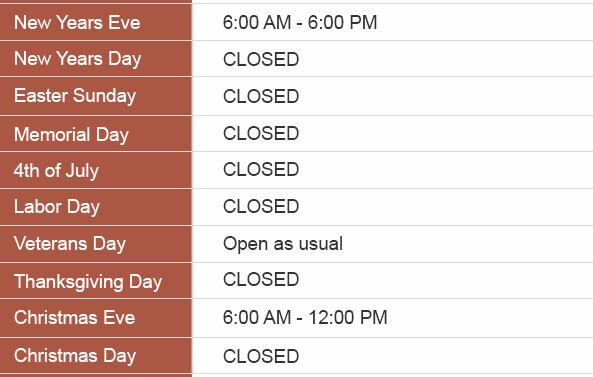 ""We chose Princeton Animal Hospital because of their reputation, availability, and hours."" 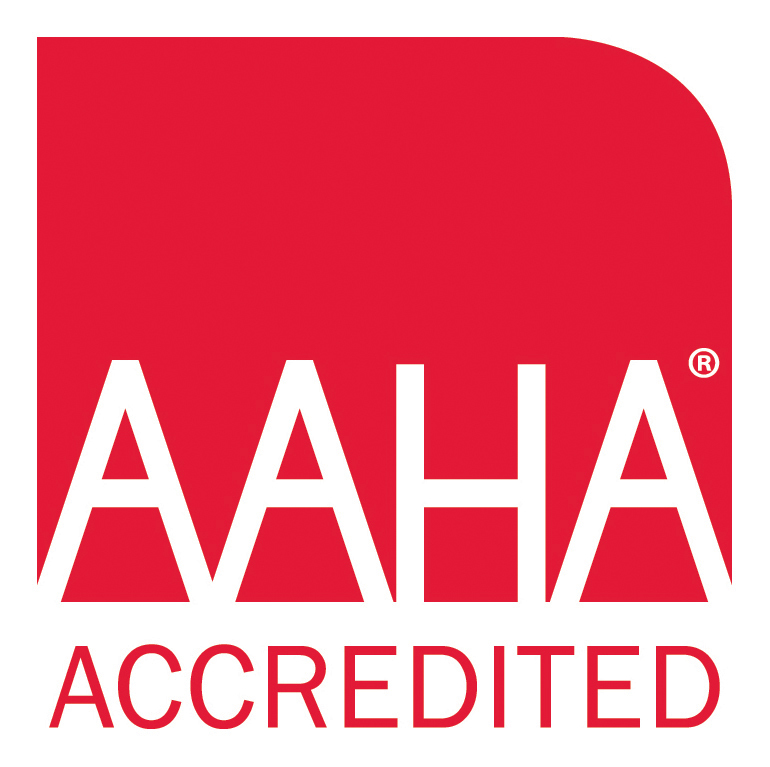 ""Your practice is so committed to animal health and well-being. This really comes through in the way you treat our cat with love, kindness, and respect. We really appreciated the post-surgical calls to check on Kaya!"" ""I HAVE to write and tell you how grateful I am for you and your staff. We had an urgent situation occur this past Sunday morning where we had to lay our beloved dog, Theo, down. It was an unexpected turn for him and we needed help immediately. I could not find a hospital open- until we found your hospital. You did not know us but treated us so kind and respectfully. You didn't make us feel bad- but helped us through a very traumatic time for me and my family. The vet and the tech were so very, very compassionate. You truly were angels for us on a very dark day. My son and I will never forget how you helped us with such compassion. Thank you so very much!"" ""I have been coming here since 1994 because of the service and care you all provide. I have been boarding my cats since then and it is very clean and all of the staff are helpful. You are all very solicitous of my boys needs and that is my utmost priority."" "You delivered my female Itbits first litter! Everything was great! Thank you!" ""I have taken Scout to Princeton Animal Hospital since she was a puppy and I have always been appreciative with the level of expertise that the vets and vet techs display. Taking Scout for surgery was not easy, but I knew she was in capable hands and getting the best treatment possible."" ""I was relieved to get a call earlier than expected and that my dog was out of surgery and recovering nicely. I was worried because my dog was in surgery but had complete trust in the staff at the hospital. Great job all around!"" ""Continue being as professional and compassionate as well have experienced from all of your staff. Thank you for all you've done for our very special family companions."" ""You guys are conveniently located and you have such a nice facility. Everyone is friendly and helpful. We love the welcome you gave Finn and the appointment. Reminder Cards with his photo are wonderful! You are doing great! Keep doing what you are doing!"" "You guys have a great reputation. You guys are perfect. It may be a little expensive but you guys are wonderful!"" "Highly recommended by other people we respect. You guys are the best and I don't see any room for improvement. This is our first dog ever and we cannot be happier!"" ""You came to us via a friend's recommendation, as she was very pleased with the help she received with her dog. I would love if you guys offered boarding services for dogs and perhaps pet sitting services as well."" ""We started with PAH with our first cat, Maxine, 13 years ago. We were consistently pleased with the service as well as staff members. Your technicians are great! We will continue to bring in Bogart as needed."" "The staff was wonderful to us during the passing of my first dog Max last May and since we got Rusty, you have been excellent with him. You have been great and we loved the puppy kit! Thanks for helping us keep a healthy, happy little dog!" ""We have been with Dr Miele for many, many years. He is the best! Thank you and your wonderful staff, we think you're the best and so does Lily. You have always been kind to us in good times and bad, you have made the bad easier. Thank you again!"" ""Your staff is very caring and very Professional. When we brought Rocky in on the 24th, everyone was very sympathetic to our feelings for Rocky. We will never forget.Keep doing what you are doing...""
Read about interesting cases behind the scenes!